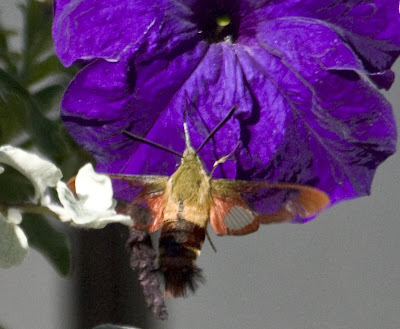 I have seen these tiny moths over the years and I always thought they were baby hummingbirds. 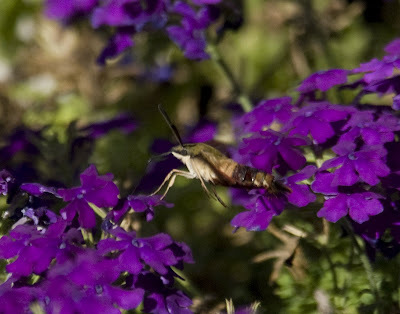 They fly and dart in and out of flowers just like hummingbirds. 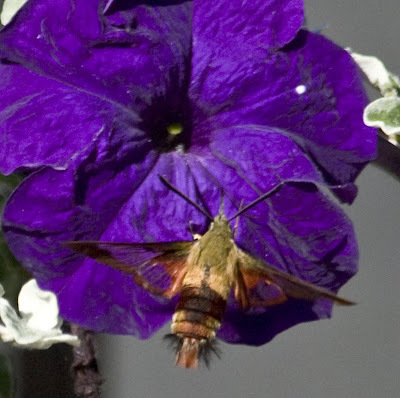 One day I took a photo of one on a flower and when I looked at the picture enlarged I was amazed to find it was a moth. 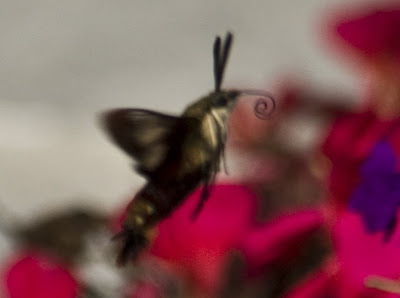 I have only captured them on film twice in 20 yrs. This is the most recent.